In my years stumbling awkwardly around this planet, I have met many whom I admire. Some became heroes in my eyes. But I have always had a flaw in my way of thinking, I tend to put people on top of a pedestal so high up that even in all their apparent brilliance, they could not possibly live up to my high ideals. Alas, one such individual has succeeded in capturing my imagination with his normality, his humour and his enthusiasm. His ideas have provided me with a path to freedom and the possibilities I hold. All of it spawns from a concept of his; the microadventure. The night swept in bringing the cold, the rain but also the stars. I toss and turn but eventually I fall asleep. 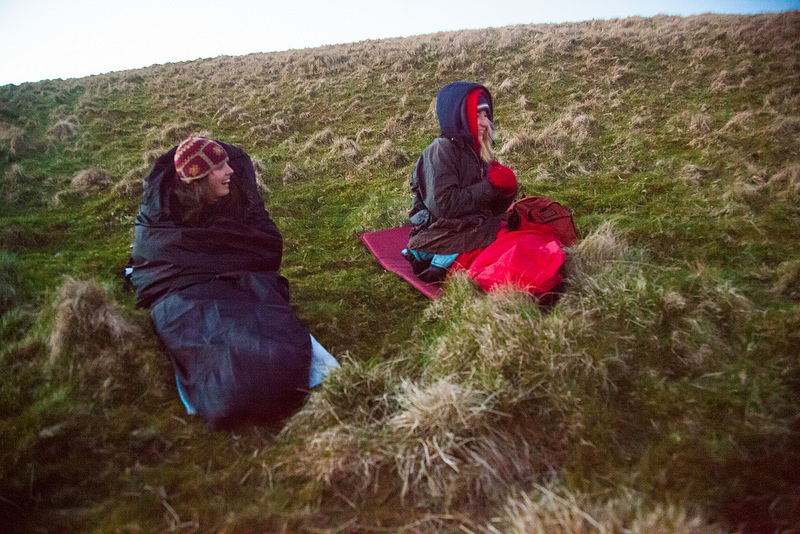 At 4.30am, the birds begin their song, the sky turns pink and seeps through the hole in the top of our sleeping bags, coaxing me and another from sleep and leading us out of our bivvys and over the hills to watch the sun rise. Two hours later the boys rise, we gather up our stuff and scramble down a different route towards home. Me sliding on my backside for the majority of the descent. I open the door of my flat at 10.30 am, one flatmate still in bed, the other hears me and gets up to greet me, she whips up some pancakes for us to share. It is as if I was here all night, nothing on the outside has changed but if you look closely you might notice the spark in my eye that was not there before. Inside I am buzzing. The key has finally been turned, the door pushed open. I am free, the doubt erased and I know what I need to do. Sounds pretty amazing, I slept under the stars last week and watched the moon rise around midnight and getting up to film the sunrise. I was lucky enought to go on the #microadventure that Alistair filmed (the 5 to 9 Microadventure) and loved every minute of it. 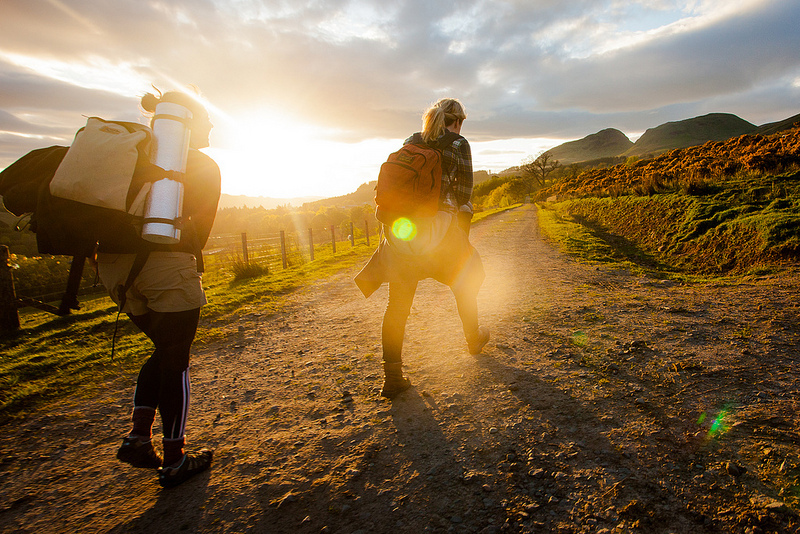 Its so easy to do – all you need is a rucksack, a decent sleeping bag and the willingness to try something different!